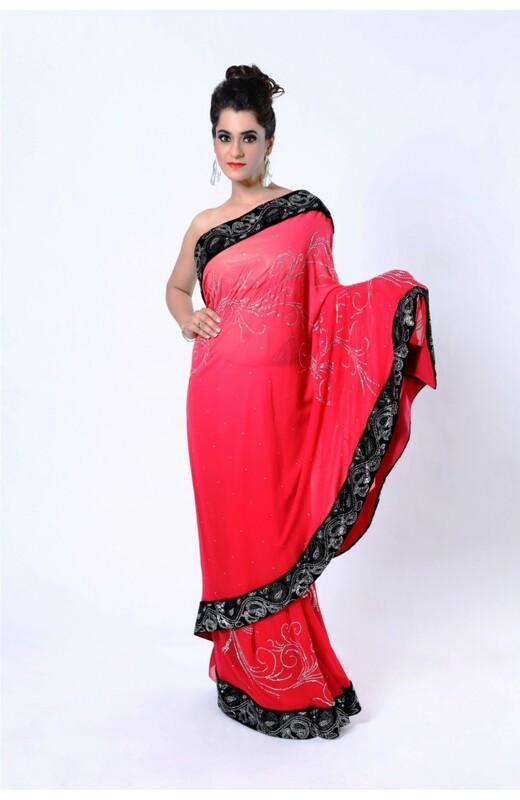 This saree is made of pure georgette fabric. 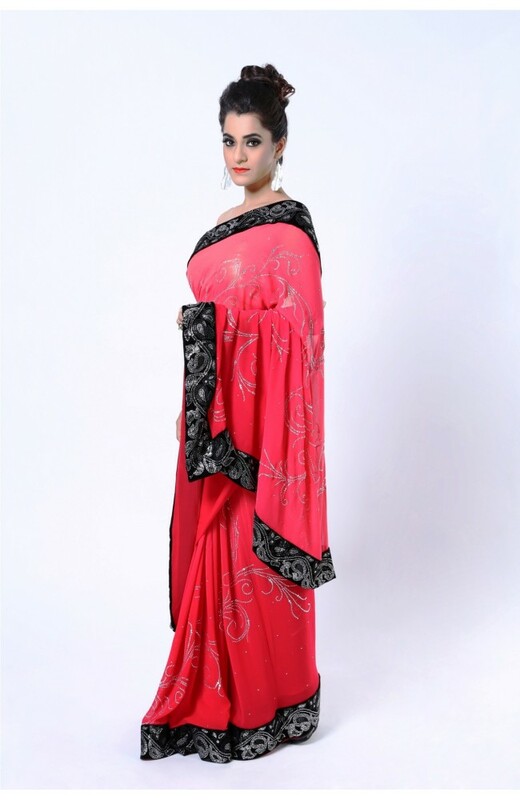 Crytal work is embroidered to enhance the design of the saree. Velvet blouse comes in matching with this saree.